Pre-construction condo closing costs are one thing that many new investors forget all about until it’s too late. If you want to avoid this situation, it’s a good idea to educate yourself on all the factors that contribute to pre-construction condo closing costs in Toronto and the GTA. I’m here to help guide you through it all so that you can be prepared for and handle all of your pre-construction condo closing costs with confidence and ease. 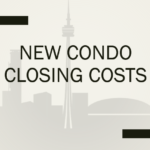 What are Pre-Construction Condo Closing Costs? Pre-construction condo closing costs are any extra fees that you will have to pay outside of your mortgage, land transfer tax and original down payment. Unfortunately, there is no way to completely calculate the exact closing costs as each condo, each area, and each builder are different. You should, however, expect to pay $10,000 to $15,000 depending on the area, the size, the number of bedrooms, and other factors. If you don’t already have the money to cover these costs along with the initial purchase of your condo – or you don’t have a reliable way to make this money so that you can pay your pre-construction condo closing costs – then I recommend waiting to make this type of investment. What Pre-Construction Condo Closing Costs are there to Consider? 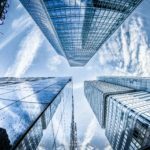 Fees for Your Lawyer: You don’t want to purchase a pre-construction condo without the aid of a reputable and knowledgeable lawyer. They will help you make a good investment and explain the contract so that there are no big surprises later on that you will be liable for. 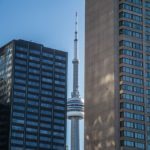 The pre-construction condo closing costs for a lawyer depend on their individual fees, but paying anywhere from $1000 to $2500 is typical in Toronto and the GTA. If you would like help choosing a good lawyer, I can make a few recommendations for you. First-Time Utility Set-up: If your condo is newly built, you are going to be required to hook up all of the utilities for the very first time, which can get a little pricey. You will need to make sure that water, hydro, and gas. The prices to install cable or satellite TV and internet are also things that will add up and contribute to your pre-construction condo closing costs. Taxes for Land Transfer: If you purchase a pre-construction condo in Toronto, you will be required to pay both municipal and provincial land transfer taxes. These taxes are usually based on a percentage of your total condo cost, so the best way to discover how much you should save is to use this handy-dandy calculator developed by ratehub. 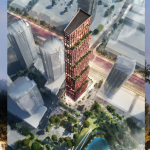 Remember that the land transfer taxes will take up a big chunk of your pre-construction condo closing costs, equalling to thousands of dollars. 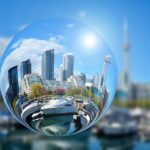 One short blog just isn’t enough to completely cover all of the factors that add to pre-construction condo closing costs in the GTA. 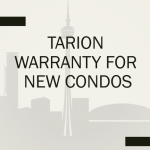 If you’d like more information, keep an eye out for my next blog [https://www.trustcondos.ca/new-condo-closing-costs], where I’ll continue this conversation. Of course, you can always call me or e-mail me if you just can’t wait that long! 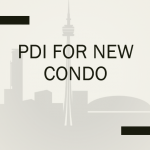 If you would like to discuss more the preconstruction condo closing cost in Toronto and have any questions, please book an appointment with Arshad Hussain. 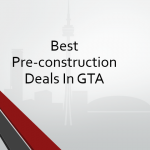 A trusted name in Toronto pre-construction real estate.